Author foxtonguePosted on February 25, 2010 Categories UncategorizedTags dan mangan, friends, lung, mishi, mishka, olympics, rayLeave a comment on also ran into Shane, who gave me a We Are More pin. and every time, it’s a surprise. they never used to have gray hair. 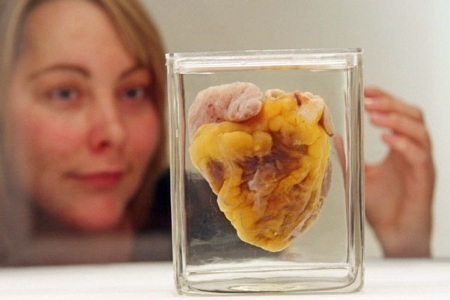 Woman sees her own heart on display. Three cats and a programmer, that’s who I’m living with. The house drips with the edges of stories we’re not quite telling. Out for dinner, up in the morning, laptop in the livingroom, random laughter talking alone. Moments I want to remember. Sigur Ros is filming a documentary. The Fringe Festival lounge is constantly full of people I used to spend my life with. Now I only see them this once, every year, though I miss them. It makes it a very strange place for me. Everyone is a flamboyant memory of someone I used to be. Words thunder across the room, bringing back burning flashes of the smiles I wore, the names I used to sweetly remember, but my personal mythology doesn’t have an anchor anymore. I adore these people, their theatrical grand gestures and ridiculous, rewarding turns of phrase, so much I forget how we lost each other. We hug close, damp with laughter, talk about how great it was, how great it will be, but sobering, know that we’ll just do it again next year. Wonder where we went as every week passes by at the introspective speed of light, while the days drag on, threatening rain with every mile. Dan Mangan was playing at the Lounge when I left tonight, another note in an absent chord of friends. I wanted to stay long enough to properly say Hello, but Ray was my ride and falling asleep on his feet, so I badly scribbled the word COFFEE? on one of my cards and left it on the stage where he was singing. As I went, I promised people I would be back tomorrow. I’m already surprised at how much I’m looking forward to it. Author foxtonguePosted on September 8, 2007 Categories UncategorizedTags brian, chris macgregor, dan mangan, dk, friends, fringe fest, jacques, john murphy, mackenzie, michael schaldemose, shadow, theater, tom jones, trevor foundLeave a comment on and every time, it’s a surprise. they never used to have gray hair.